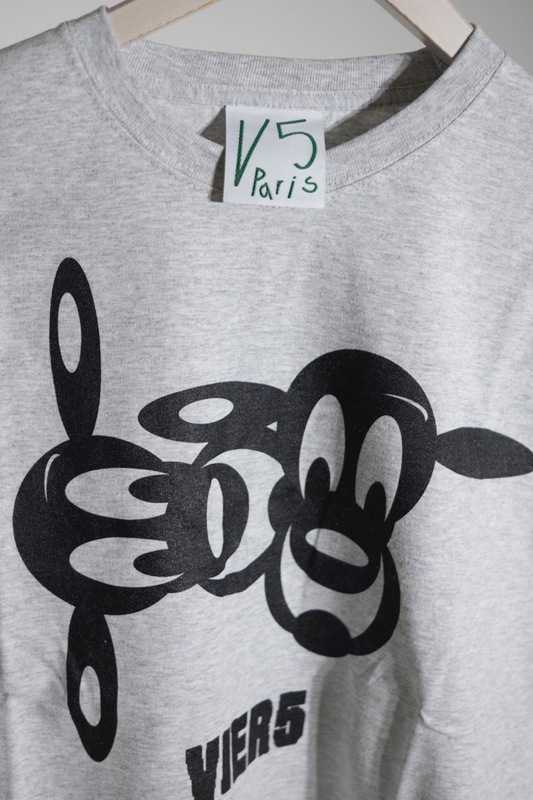 Grey T-Shirt by V5 Paris. Round neck, black silkscreen print on front, ribbed trims, regular fit. No surprises, it‘s a classic cut. Designed and hand made in Germany.